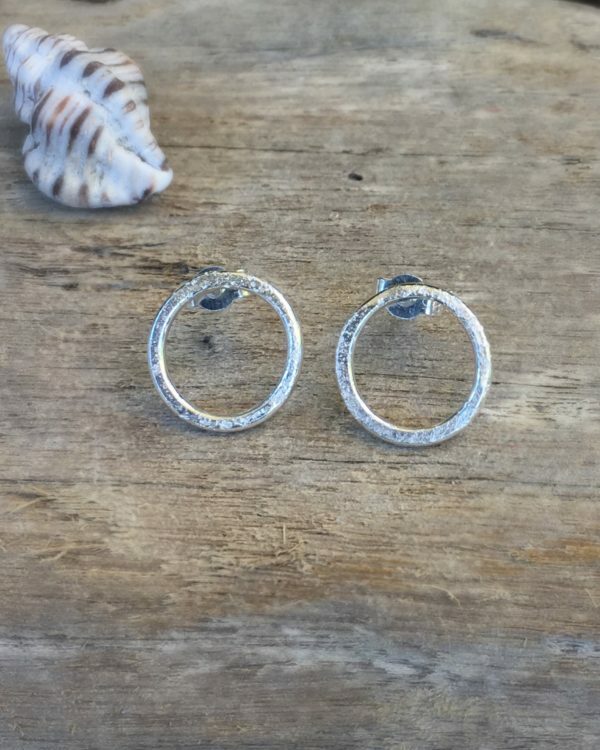 The sand rings earrings are hand made from recycled silver. The rings of silver measure approximately 10 mm in diameter, they are textured with sand from local beaches. The rings are on sterling silver posts with sterling silver butterflies. These earrings are inspired by the texture of sand beneath your feet. Your earrings will be hand made to order. Please allow 3 weeks for delivery. Your earrings will be delivered in a recycled box, to keep them safe in transit.